WorldEdit is a premium utility mod for Minecraft which gives players the ability to quickly edit the map within the game or to do numerous terraforming tasks all at once. This mod gives players the ease of access when it comes to doing major overhauls on the way they want to sculpt the current map that they are playing in. It provides multiple features and is easy to use and install. WorldEdit gives you a brush tool where you can easily carve out mountains, ravines and more. It also gives the players a copy pate function when it comes to editing the land. It also adds tools to help you create shapes easier and faster. It is the all in one mod in Minecraft to help you sculpt the perfect map that you would like to play in. If you love this pack and want to have more in the future, you can show your love to STEVERTUS. You can check his Youtube Channel to support him. You can check more PVP packs over here. How to install WorldEdit Mod? 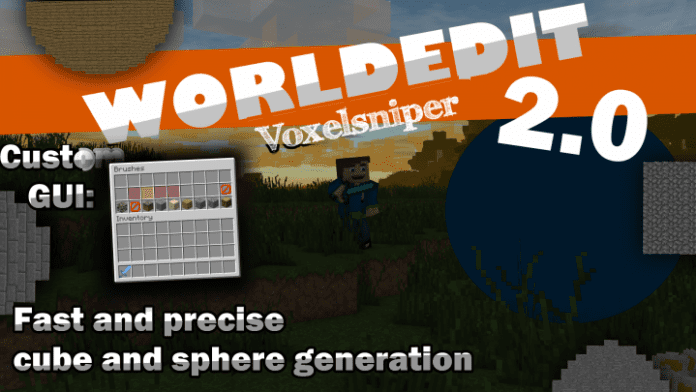 If you don’t know how to install the WorldEdit Mod just look below, we’ll provide you with a short tutorial there. This installation guide should work with all Minecraft versions. To see the Official Download Links just scroll down.